The Smart Meter SafeGuard guarantees effective protection against the harmful radiation emitted by radiofrequency meters (Smart Meters). The Smart Meter SafeGuard reduces the radiation intensity by up to 50 times, no matter which generation or model of smart meter you have. In other words, it blocks 98% of the radiation emitted, leaving well enough for the billing data to be sent to Hydro-Québec. Although it is technically feasible to block all the radiation, a little needs to get through in order for Hydro-Québec to collect its data. 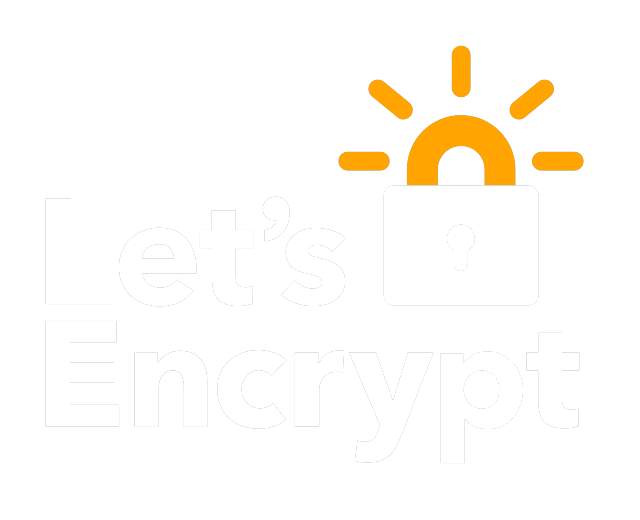 The Smart Meter SafeGuard is a Faraday cage, so it is technically possible to block all the radiation, but it is especially designed to leave a fare share for Hydro-Québec to collect its data, while maximizing protection for humans and pets. It’s like putting a hat on the meter! A screwdriver and a few instructive photos are all you need. No assembly required. No drilling required. No wires to hook up. The Smart Meter SafeGuard was designed to work with most models used by Hydro-Québec, including the Itron C1SR (also called the “second generation” meter) and the Landis+Gyr (Smart Meter). For a « bi-énergie » system meter as well as 400Amp meters, refer to the page “Compatibility “. For meters in other Canadian provinces, the United States and Mexico, please see the “Compatibility” page. The Smart Meter SafeGuard is made entirely of metal to evacuate heat and avoid the potential problems of overheating the meter. The law requires electricity meters to be accessible at all times. It is illegal to install any kind of lock that prevents access to the meter. It is also illegal to alter Hydro-Québec’s property. Of the junction box, only the smart meter belongs to Hydro-Québec. 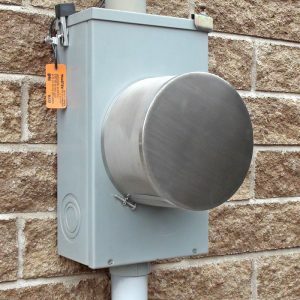 The metal box and the meter ring belongs to the owner of the building. The Smart Meter SafeGuard is as easy to remove as to install, so Hydro-Québec and its agents can always easily access the meter. Nothing is altered or changed, and the data transmitted is unchanged. The Smart Meter SafeGuard has an almost unlimited lifetime. The stainless steel construction can easily handle any weather conditions Mother Nature dishes out. The Smart Meter SafeGuard has been rigorously tested in many different locations: closed cellars, cellars with windows, inside, outside, etc. Electro-sensitive people who have used Smart Meter SafeGuard have seen their smart meter-related health problems significantly improve or disappear in days. 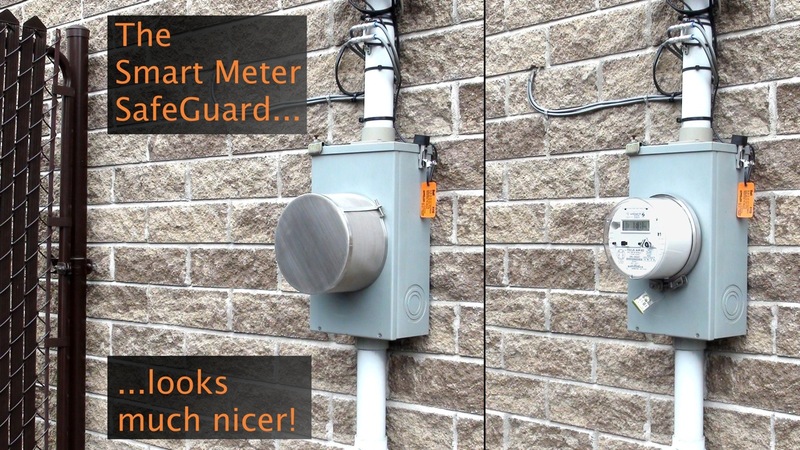 The Smart Meter SafeGuard is 100% Canadian-made. 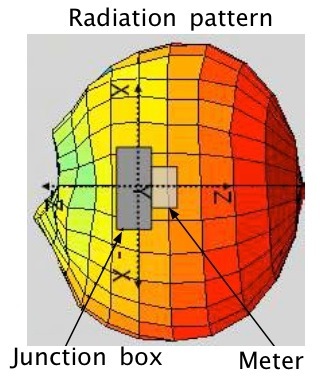 The construction materials and several prototype design features were based on electromagnetic shielding calculations. The designs were then field-tested in real situtations to confirm the calculations.